– The first recorded poetry I ever heard the Joan Baez Baptism album; and in the many years since, drunk with verse and swaddled in vocals, I had yet to hear another. 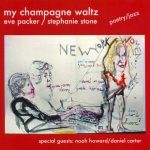 Then I came across Eve Packer and Stephanie Stone’s My Champagne Waltz. Both are perfect, but the only thing they have in common is their commitment to the trip. Throw out your shoon, put on your pork-pie hat and grab your stilettos! One of her best pieces is “Playland,” a memoir of Times Square, back when good girls didn’t dare go there. You can find her reading on youtube, even some of the recordings from this CD are there. It’s nice to get the visual. Stephanie Stone’s moody piano lends the CD its soulful, lyrical longing as backdrop. Stone mixes the traditional American song book with the avant garde’s free jazz. She was a doyen of the early downtown jazz scene in Manhattan, and after raising her daughter, began to play again on special occasions, this collaboration with Eve Packer being one of those. There’s some Stephanie Stone on youtube too – worth the time to google them, to feel the enormous warm blanket of her talent. In the life, Eve Packer may be married and may have ears, but her poetic persona is a single woman with a mouth. You can’t sleep through what she has to say. 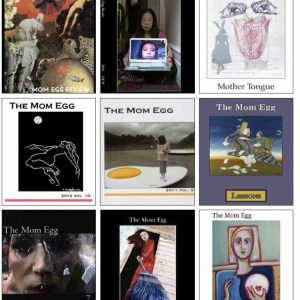 She is a poet who cries out for a musician. Stone is the wife, the listener, the elder. She is the musician who opens up for poetry. It is poignant to me that I should only discover her after her passing. She was 91 at the time of this recording in 2012 and she died in April of 2014. We’ll hear more from Eve Packer – we hope. My Champagne Waltz is two sultry New York women jamming in a city full of fabulous women performers. Village Digital did a great job on this one, and we hope to hear more from them. Recorded Feb. 2010, Oct. 2011, Feb./Mar. 2012 @ Village Digital in NYC. c2012. 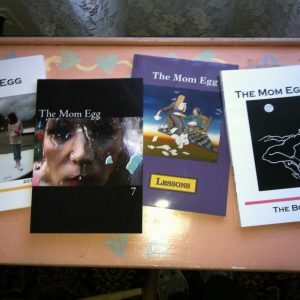 Judy Swann is a poet, editor, and and bicycle commuter, whose work has been published in many venues both in print and online. Her forthcoming book is entitled We Are All Well : The Letters of Nora Hall. She is still hoping to interest a publisher in her other book, Poor Boy.